Does Freddie Mercury sound like Dio? I think so. I also think this is a decent album. Well, the melodies are good, and even great, they rocking they do is pretty lame. Lame. Queen is lame, you heard me. They rock like Styx does. Big difference in overall quality, though. First off, no one in Styx could ever sing like Freddie, even if he isn't singing about anything worth singing about. At least he does it well! Keep Yourself Alive opens well. I have to wonder if Meat Loaf took ques here. Well, it is a good enough song, if a bit mundane. The piano work is a nice touch. And Doing All Right is another soft catchy ballad like song that makes me feel all warm and bubbly. Those drums are a bit dry, though. They are not that even. And they kind of trample all over the possible prettiness of the piece. Well, it kind of falls flat, anyway. This is a flat number, in general. Well, at least it has a solid main melody. Great King Rat crunches off violently. Too bad it evolves into a basic hard rock album, with above average vocals. Again, the lyrics might as well not exist. But wail away old Freddie! The distorted guitar solo grabs you, but it is too sloppy for me. I don't mean Iommi sloppy, I mean was he drunk when playing it? Sloppy. Well, it does grab your attention, at least. 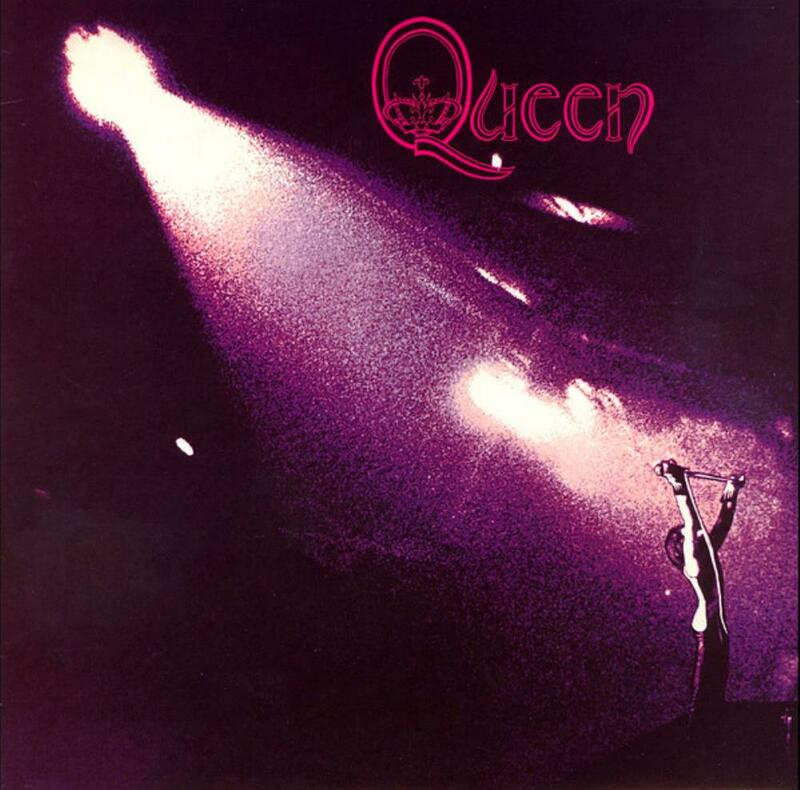 This is something I can say about Queen I, that I can't about most other hard rock debut albums (or most hard rock albums in general) is that it actually grabs your attention. The songs have multiple parts, and they are flowing, if a bit disjointed. Now if they can only work harder on overall composition, you'd have a very promising career start. This album falls just short of such an accomplishment. The opera vaudeville inherent most certainly strikes as something not very seen in rock music, so far. But I will say that The Doors beat Queen to theatrical rock and did it better, on their marvelous debut. My Fairy King has the stench of Deep Purple rip off. Well, Deep Purple never had this diversity. Nor did Ian Gillian have as much control over his voice than Mercury. They both fail miserably in the lyrical department, though. I quite enjoy the vocal overdubs present. They add some texture. Otherwise, this would be just a piano rocker. The laughable introduction to the exquisite Liar might throw some off, but it is actually a decent tune. Well, it never really does it for me, but I suppose you hard rock aficionados will be wetting your pants when it pops in. It also feels like a clone of Fairy King, which feels a lot like Great King Rt (only that song rocked much harder than either) Yes, this album feels very same-like. Nice solo, but we've heard it a thousand times, before. The Night Comes Down has some acoustic guitar strumming to start off, but it isn't very good acoustic guitar playing. Well, I suppose it is for build up. And this transforms into a mystical rocker, with a fixed groove that doesn't offend. Follows the soft to hard suit of the rest of the album, but not in a very amazing way. I do like the hooks implemented, however. Nothing progressive. This album doesn't do too much new musically, but it mixes an eclectic sect of styles. Modern Times Rock 'n' Roll is just bad. It might hit hard, but it hits with a fist made from a sack of feathers. The arguable band highlight isn't even present, here. That being good singing. No, it is pretty butchered. At least it is short. Son & Daughter is almost Sabbath in its approach, but it doesn't have the good riffing. At least Mercury had that catchy and lovable voice. Jesus has more soft to hard that they seem to love so much. Well, I suppose this is meant to be a stately and serious rock song with bombast, but no, it is fuzzy and somewhat boring. Well, if it isn't a pretty melody that ends the album. Yeah, Seven Seas of Rhye is pretty, but it is also not more than a short little jam. Doesn't do much for me, and isn't amazing in terms of emotion or skill. Oh well, at least they have their own identity. It just isn't very fleshed out. Nor are any of these fellows master musicians. Well, Mercury has a great voice. I don't see why they didn't utilize it all the way through. Worst Song - Modern Times Rock 'n' Roll.